Efflorescence began as a series of carefully detailed silver floral forms reflecting on how our semiconscious existence often causes us to neglect the beauty in the world around us. These were recreated with gold and surface patination techniques for a project with Monoco (Japan) in 2013. 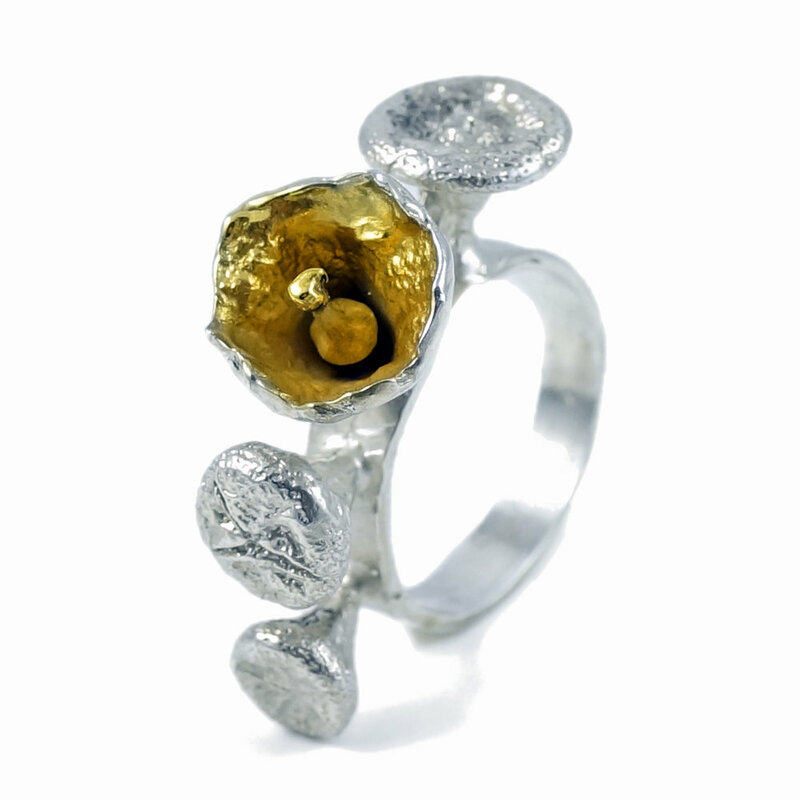 The collection comprises carefully handcrafted rings, earrings and pendants in sterling silver and carefully detailed using gold vermeil, palladium and oxidative patina. 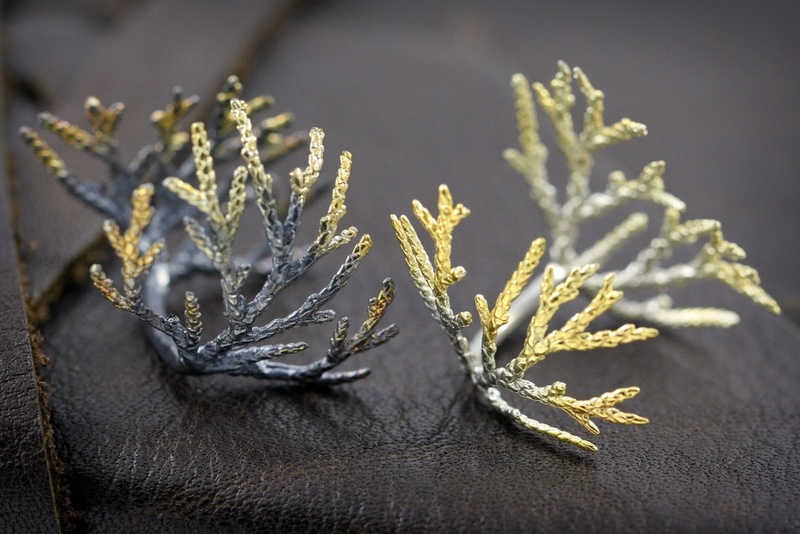 The time to produce each piece is much longer than typical designs but this delicate recreation of nature ensures value and uniqueness to each piece. Each is a floral arrangement on the smallest possible scale.